Russia will assume on Friday rotating presidency of the UN Security Council for the month of March, giving priority during its term to the development of the situation in Afghanistan, the Russian foreign ministry said. The role of president of the Security Council involves setting the agenda, presiding at its meetings and overseeing any crisis. The presidency rotates monthly in alphabetical order of the Security Council member nations’ names in English. “The situation in Afghanistan will be a priority of Russia’s presidency as that country is entering a very responsible stage of its development, which requires new efforts from the people of Afghanistan and consolidated support from the entire international community,” the ministry said in a statement on Thursday. 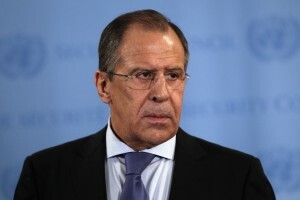 Russian foreign minister Sergei Lavrov will chair on March 19 a UN Security Council meeting on Afghanistan. A resolution extending the mandate of the United Nations Assistance Mission in Afghanistan (UNAMA) will be adopted at the meeting. The agenda of the Russian presidency will also address the Middle East issues, the settlement of the situation in Kosovo, and the Libyan sanctions regime, among other issues. The Council has 15 members, including five permanent members – China, France, Russia, the United Kingdom and the United States – and 10 non-permanent members elected by the UN General Assembly for two-year terms.